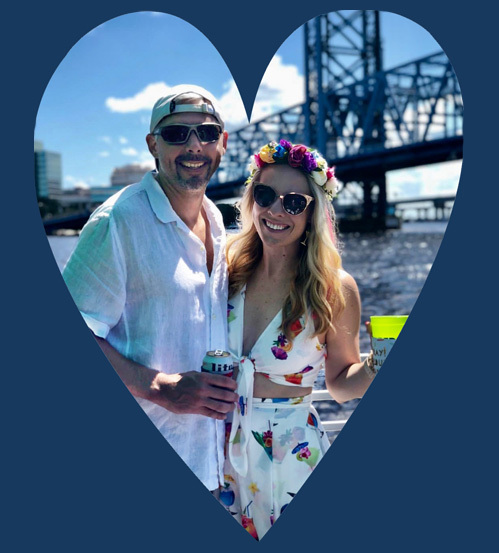 2019 Tampa Valentine's Day Planning and Giveaway! — Kraken Cycleboats - Experience Florida With This Unique Party Boat Experience! Year after year around this time, you struggle to get a reservation at a fancy restaurant that packs itself to fit all of the hungry lovebirds in town and end up paying high prices! BREAK FREE from the tradition of putting yourself through the daunting task of trying to come up with a creative idea for this Valentine’s Day! Let us paint a much more appealing picture for you. 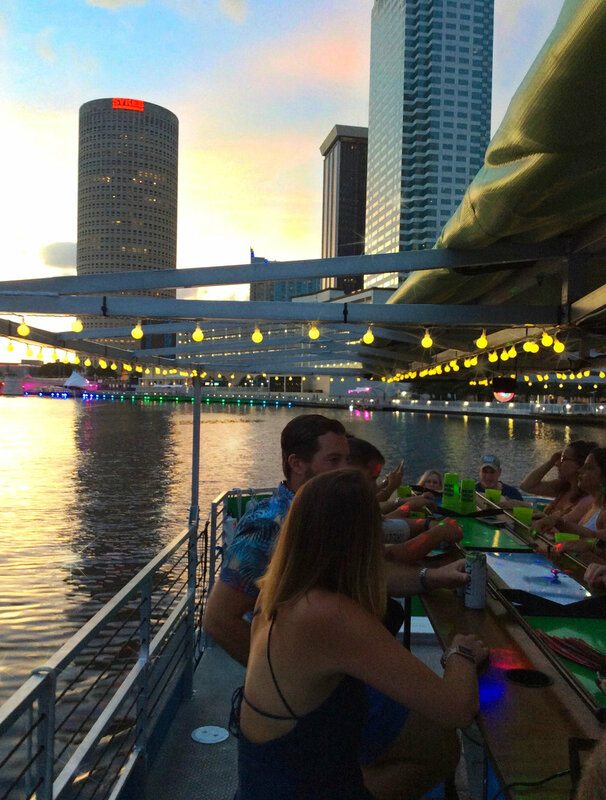 Imagine yourself on the water that reflects the warm sunshine during the day or the colorful lights of downtown Tampa at night as you and your loved one pedal effortlessly down the Hillsborough River. Halfway through you make a stop for a glass of wine at Ulele, a craft cocktail at Armature Works or a margarita at Rick’s. Bring take out from your favorite restaurant, or for the cooks in town, prepare your date a picnic for your relaxing ride aboard the Kraken! This year we want to make it even more exciting and give the opportunity for a set of double daters in Tampa to receive a FREE night with us! That’s 4 tickets for $0! Tampa Bay Date Night Guide does the tedious researching for you and puts all of the great ideas in one spot easy for you to find so you can plan the PERFECT date night! For those of you that have already made plans, Kudos! You deserve a gold medal for being prepared! However, lets top that success off with the BEST gift to present your date with! Hop on our page and treat your loved one to an experience with Kraken CycleBoats by booking a trip or purchasing a gift card! Let us help you make February 14, 2019 a night your love one will always remember! If you aren’t following us on Facebook, what are you waiting for?! Don’t miss out on deals and special events with Kraken CycleBoats!